Photography - Trial and Error way: Which one a good camera for video- Sony SLT-A57 or Canon 650D? 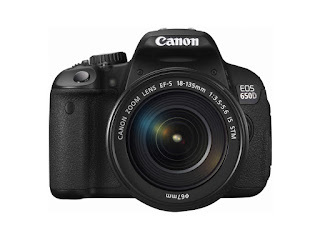 Which one a good camera for video- Sony SLT-A57 or Canon 650D? 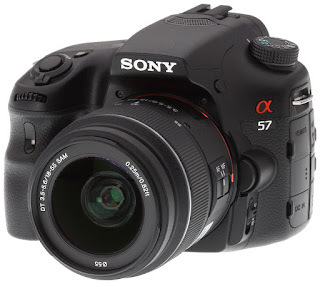 I prefer Sony STL A57. It has much better auto focus abilities. Plus, Sony has lot of expertize in the video area. Update: If you want to buy SLT A57, BH Photo has a great deal for $499!! While the results of these changes show noticeable improvement over the EOS 600D, AF in video mode is, unfortunately, still slow. In our time spent using the camera, we've not been able to reliably maintain focus on objects moving to or away from the camera at even a moderate walking pace. As it stands it's hard to envision situations in which continuous AF that is this slow has any practical benefits for tracking moving subjects. As with the EOS 600D, we still recommend shooting video in manual focus, or at the very least pre-focusing the lens with a half-shutter button press before you start recording. Full manual control of shutter speed, aperture and exposure compensation is possible when shooting video but there are some restrictions. You can only take manual exposure control in the A57's dedicated movie exposure mode (found on the main exposure mode dial), and this is incompatible with AF. If you want to take advantage of the A57's full-time AF during video, you'll have to shoot in program AE mode, at which point the camera will not select an aperture smaller than the lens' maximum (or f/3.5, in lenses with a maximum aperture greater than f/4). This simply reflects the fact that the AF system will stop working if the aperture is stopped-down smaller than f/5.6. Speaking of AF, Sony's phase-detection AF implementation in current Alpha models is easily one of the best performing systems we've encountered on any stills camera. Focus acquisition is quick though not silent, object tracking is easy to employ while recording and works reasonably well across a central area of the frame. As you'll see in the video samples that follow, focus hunting rarely becomes a distraction during clips. Pressing the Movie button when shooting in one of the PASM modes on the A57 will begin recording video in program AE mode, with AF operating continuously. AF can be locked temporarily by holding the AEL button (assuming it is so assigned in the custom menu), while ISO, AF area and object tracking can all be adjusted during recording. A digital wind cut filter can also be enabled. i have studies a lot Between A57 and Canon 600D. the only difference i want to know is which Camera Gives Better Image result After A hard copy print Canon or Sony. which one Delivers a more true image.